This week, India will celebrate the 125th birth anniversary of Jawaharlal Nehru. I must confess that I hate anniversaries when they turn out to be rote affairs, when memory, which hurts like frostbite, is presented painlessly. 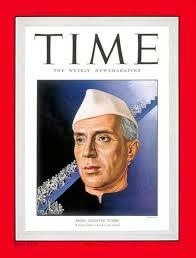 I hate this era that measures Nehru with calipers and titrates his foreign policy. It is a dull world today when memory turns inane and history seems empty. Life must indeed be meaningless when almost two decades of the Nehru era produce less meaning than five months of a Modi regime. When memories fade, icons die, and when an icon dies, something dies in all of us. Nehru cannot be seen merely as an object of history, a fragment of policy. He was a dream, a hope, a claim to innocence, an aesthetic which gave to modernity a touch of elegance. I think that is why Gandhi opted for him. The practical Gandhi realised that one needed the impractical Nehru to survive the first decade of Independence. It is only the impractical who survive, who understand desire, hope and dream. Words like development and planning are dull words borrowed from a dismal social science. Nehru gave them a touch of poetry and it is only the poetics of the first decade that allowed us to retain hope and dream differently. Imagine a country which suffers two genocides, the Bengal Famine and Partition. Imagine a nation littered with refugees and the bittersweet memories of displacement. Such a nation could have turned melancholic, bitter, even tyrannical. Yet with all the violence, India of the Nehruvian years had a touch of innocence. Indians felt they had done the impossible (win freedom) and now wanted to repeat it. It was Nehru who gave India that lightness of being, that childlike innocence and yet that sophistication that came with a civilisational confidence. Nehru inspired a generation to hope and believe. In fact, it was the first decades of Independence that could be called the Indian century because Nehru made India feel that Indians were special. We used science as an enzyme of hope, an elixir of development. Where else could a nation talk of the future as belonging to science or those who make friends with science? The concentration camps were still a stark fact and the atomic bomb had been tested over Japan. No other nation saw science as a dream. The Russians and the West saw it as a tool of economic development. 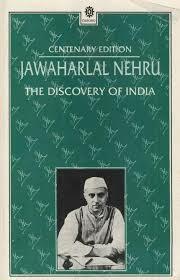 Nehru insisted science was culture, a form of playfulness, providing a sense of discovery and excitement. This was a man who felt that science would prolong his discovery of India and even the world. For Nehru, science was not about productivity. It was a way of looking at the world. In fact, if one looks at Nehruvian scientists one senses that same elegance about science, whether it was P.C. Mahalanobis, Homi J. Bhabha, K.S. Krishnan, Vikram Sarabhai or Satish Dhawan. For all of them, science was not just knowledge. It was an aesthetic for approaching the world, an insight we have lost in this dismal age of the information revolution. One is reminded of a story about the Russian scientist, Nikolai Vavilov, who spent his student days with William Bateson at Cambridge. Vavilov was once referring to an English colleague, a nuts and bolts empiricist. Vavilov claimed that he was a good worker but insisted in his accented English that he had no-“Phi-Lo-so-phee.” Nehru provided philosophy to the first years of Independence. I admit it had a touch of innocence. In fact, it was re-echoed in Hindi cinema by Raj Kapoor, who, like Nehru, was an incurable romantic, who saw in being Indian and nationality, a dream of a different being. When Kapoor sang “Mera¯ ju¯ta¯ hai Ja¯pani¯, ye patlu¯n Inglista¯ni¯, Sar pe la¯l topi¯ Ru¯si¯, phir bhi¯ dil hai Hindusta¯ni¯,” he was reciting one of the new anthems of the Nation, a country, a generation which believed it had a tryst with destiny. Even ideology had a touch of romance. Today one laughs at socialism and the dreams of the Left when one watches the dreary rhetoric of the CPI(M). But ideology in that era was an aesthetic of justice, a poetics of solidarity with people. I know the words might sound empty today but when the Indian People’s Theatre Association performed, or Nehru spoke ideology, Marxist-Socialist ideology made sense of the world. As an old Marxist explained, in India, Marxism was not just about class. It gave a touch of class to the way we thought of the world. One misses that elegance, that aesthetic of democracy when we talk of secularism today as it gets viscous with political correctness. One must remember that the first decade was an idealistic decade. When I think of my parents or their friends, one senses the deep celebration of India. Every Indian felt his sacrifice was worth it. It was a moral, aesthetic and scientific world where character-building, nation-building and dam-building went together. There was little cynicism, a great realism about poverty and yet a hope that nation-building Nehruvian style was one of the great epics of the century. India has lost that epic quality of hope and innocence. May be the Nehruvian era needed that touch of pragmatism we call Patel. May be Nehru could have absorbed the insights of Rajaji. At that time we had such a surplus of leaders, from Maulana Abul Kalam Azad, Rajendra Prasad, B.C. Roy and Rajaji that we did not realise that the first decade was a festival of leadership, with each individual adding to the richness of the Indian vision. I remember when the Nehruvian era died. For me, as a child it was a composite of two events. India, invincible India, the India that gave us Dhyan Chand, lost in hockey at the Rome Olympics. For my biased mind, cricket, tedious cricket, only emerged into the limelight after that. Then, even more poignantly, India lost a border war with China. It was a collapse of a world view where India which had conquered colonialism was mired once again in defeat. Nehru, our immaculate Nehru, sounded old and vulnerable. There was a loneliness, a tiredness about him. When a legend is threatened, mediocre critics like termites creep out of the woodwork of history to recite his mistakes. The magic was gone and Nehru faded soon afterward. The question “after Nehru who?” popped up soon and one then senses the momentous nature of the loss. One realised that for all the mistakes, those were the last magical years of the nation. Today, given the mediocrity of his epigone and the autism of the Congress party, we forget that the Nehruvian era was the great period of institution building, where we initiated community development, celebrated planning, built our great IITs, revitalised our science laboratories. India could not have been India without harvesting the achievement of the Nehruvian years. I remember my old friend and teacher U.R. Ananthamurthy. Before he died, he left behind a great manuscript, a testament, a manifesto. URA criticised the Nehruvian years but he made a more critical point. Nehru might have made mistakes but Narendra Modi is the mistake that India might regret one day in its angry backlash against the family. Nehru was a classic. Our current regime is a footnote. It can only become history if it destroys the Nehruvian years. Today, there is an epidemic of seminars, conferences and newspaper articles about 125 years of Nehru. Writers will give Nehru the good conduct certificates he does not need and praise his concern for poverty and his interest in science. The Congress is petty enough not to invite Mr. Modi but pompously invites guests from overseas. It is an un-Nehruvian act in its aesthetics and one must condemn it. Yet, what will be even more depressing is the social science litany about a man who gave us the poetics of a nation. In our current politics, it is not memory and its poignancy we are evoking. Our anniversaries become dull timetables, empty acts of repetition. When the magic is gone, only an official catechism remains. It is simpler to open a book of photographs and travel down memory lane. I wish there was something simpler, more abstract, a simple poem that caught the magic of the man without shrinking it to nostalgia, because Nehru, our Nehru deserved much more. Categories: From Print Media, introspection, news and views, Personality | Tags: Indian history, Jawaharlal Nehru, nehru, Nehru 125th anniversary, Nehruvian era | Permalink.